Each year since 2014, Enfield has recognized one resident with the Peg Smith Memorial Volunteer of the Year Award. The Award is given in memory of Peg Smith, a kind-hearted and involved citizen of Enfield for more than 50 years. Awardees are recognized for their compassionate service to the community. Nominations for the 2019 Volunteer of the Year Award are being accepted until March 16, 2019. To nominate someone who shares Peg’s love of Enfield and spirit of volunteerism, please visit the Volunteer of the Year Nomination Webpage. 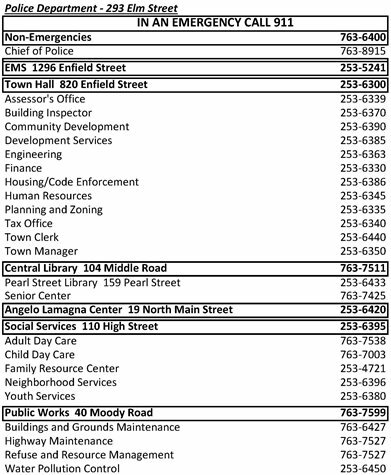 You may also stop by our office at 110 High Street to pick up an application or call 860-253-6396 to have an application mailed to you. The 2019 Volunteer of the Year will be recognized with a ceremony at Town Hall during April which is designated as National Volunteer Recognition Month. When disasters strike, the Town responds through its Office of Emergency Management. The OEM has taken steps to mitigate, prepare, respond and recover from emergencies. The annual Toy for Joy drive with the Enfield Police Department is in full swing! The police are looking for new, unwrapped toys for children from infant to age 10. They are also accepting monetary donations, made out to Toys for Joy. 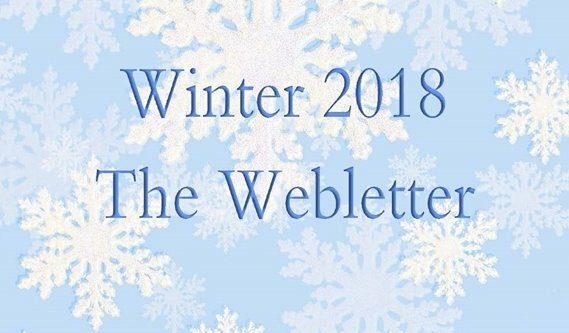 To sign up to receive toys for your little ones, the Police Department is taking applications for birth to eight years old. You must be a residents of Enfield and have custody of the child. The registration deadline is December 17. Call (860) 763-6400 extension 1322 for more information. Please bring a completed registration form and cash or a check payable to the Enfield Senior Center. Registrations are taken in person beginning on the dates and times above. No registrations are taken prior to the first sign up date. Mail-in registrations are processed after those in person have been registered. Please do not send cash. A completed registration form must be included. Refunds are made in full for those withdrawing before a class begins. Refunds are given for medical reasons, with a doctor’s authorization. Vouchers are issued when a class is canceled by the Senior Center. To be eligible for vouchers, the class must be paid in full prior to the class cancellation. Blood Cancer Survivor Journeys- First Thursday of each month, 6:00pm-7:30pm. Call 413-789-0200 to register. Stroke Support Group – Second Tuesday of the month, 10:00am. No registration required. Call 413-565-1025 for inquiries. Parkinson’s Support Group – First Tuesday of the month. No registration required. Call 860-253-6403 with inquiries. The Senior Center Has New Hours! Monday, Tuesday, Wednesday, and Friday - 8 am – 5 pm. Thursdays - 8 am – 8 pm. Saturdays – 8 am – 12 pm (closed the 22 and 29, due to holidays). The above hours are only in reference to the month of December as we begin new hours in January. Monday, Tuesday, and Friday – 8 am – 5 pm. Wednesday and Thursday – 8 am – 8 pm. During this transition period, staff will be hard at work to develop programming to fill the newly added night time hours. We welcome any suggestions for new program ideas. 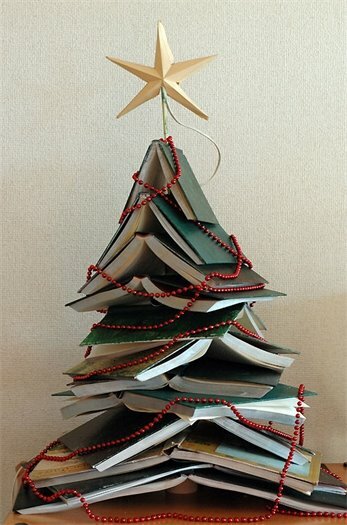 Festival of Trees Reception December 13 6:30 pm Join us for the opening reception of our gallery of handmade trees. Enjoy music, and light refreshments. Co-sponsored by the Enfield Culture and Arts Commission. Drop-in event for all ages. Drop and Shop December 22 9:30 am – 12:30 pm Three hours of games and crafts for children while parents have time for holiday errands or just relaxing. Registration begins December 3. Ages 5-12 only. Space is limited. Matica Circus December 27 10:30 am In this family-friendly, acro-comedic act, Matica Arts will perform acts of daring and tremendous skill. Ages 4 and up. Free tickets available at the library beginning December 17. Noon Year’s Eve December 31 11:00 am Come count down with us to Noon Year! An hour long celebration of the new year with a countdown to twelve o’clock noon. Co-sponsored by Enfield Plays On. Drop-in event for all ages. There are a variety of book discussion clubs at the Enfield Public Library. We encourage you to join us for one! On Monday, December 10 at 6:30 pm, meet the author Martin “Marty” Podskoch. From the quaint splendor of the town of Kent in the northwest hills of Connecticut to the great restaurants that dot the shoreline of Westbrook to New Britain’s industrial roots, author Podskoch highlights places in every municipality in the State of Conn. with his new book, Connecticut 169 Club: Your Passport and Guide to Exploring Connecticut. 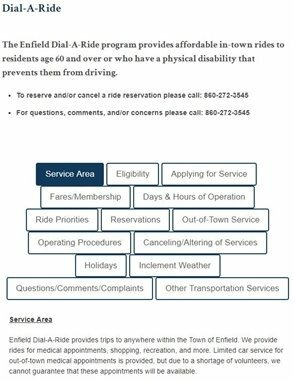 Enfield Dial-A-Ride is looking for volunteer drivers to assist with out of town transportation. If you are interested and want to become a volunteer Dial-A-Ride driver to help Enfield seniors and physically disabled get to out of town medical appointments, we want to hear from you. Volunteers use Town-owned cars to transport individuals. All you need is an interest in helping people, a valid driver’s license and a clean driving record. Hours are scheduled in advance based on your availability. Please call Annette Orlandi at (860) 272-3545 for more information. can refer to Chapters 74 and 82 of the Town Code for more detailed information. also posted on Enfield TV. Owners or occupants of any building or land bordering upon any street, square or public place where there is a sidewalk are required to remove all snow, sleet and ice within a period of 24 hours after the cessation of the snow, sleet or ice, as shown on the Sidewalk Clearing Countdown Clock. Blowing, throwing or plowing of snow into public street or way is not permitted. Snow that is blown, thrown or plowed into the streets by residents or contractors creates an unnecessary safety hazards to all motorists and unnecessarily consumes significant town resources. No motor vehicle shall be parked on a public street or highway in town during a snow or ice storm that has an accumulation of 2 or more inches or during any other parking ban instituted to facilitate the removal of snow on town streets. Objects such as basketball hoops must be removed as well during the winter season. 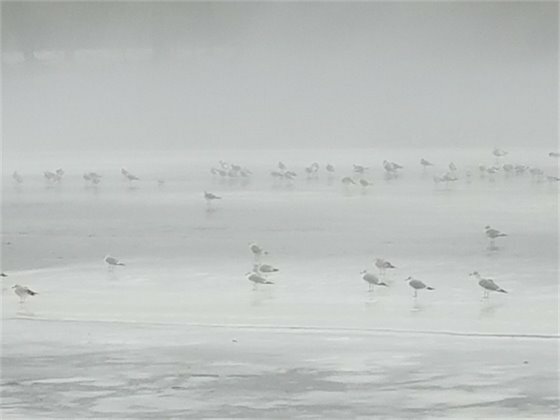 on snow removal and a link to snow information published by the CT DOT. The Enfield Athletic Hall of Fame was established in 1996 to honor individuals or teams that have made significant contribution to Enfield athletics or related fields and have a defined, recognizable link to the community as positive role models. The Hall Of Fame Committee has established common grounds of recognition for individuals/ teams and sponsors who have been nominated by the public for induction into the Hall Of Fame. The Committee will select from the list of nominees a limited number of honorees to be honored each year at the induction ceremony. 1. Now, or at one point of time, have been a resident of Enfield or have a clearly defined link to the town. 2. Currently or have been involved in competitive athletics as a player, coach, working professional, and/or volunteer at the professional or community level. 3. Have made a significant recognizable positive impact in his/her field and/or level of participation. 4. Display or have displayed integrity, character in a leadership role or as a positive role model for others to emulate. 5. Candidate's high school class must have graduated 15 years ago to be eligible. 1. Active player/coach/volunteer in a competitive sport at the professional level. 2. Active contributor in ancillary areas which impact the field of athletics and is a recognized professional in his/her field. 3. Past contributor/player/coach/volunteer/professional who has impacted the positive direction for athletics in the community. Have someone in mind? Fill out the Nomination Form now for consideration! This is a great chance for you and your child to meet other families from Enfield and the surrounding area. Your child will be able to explore, learn and play with educational toys and games while moms, dads or caregivers socialize. Playgroup is an ongoing program, so pre-registration is NOT necessary. Please note that a participant waiver must be on file with the instructor which can be filled out the first day you attend. There is no play group when school is delayed or closed due to weather. The program runs Mondays, Wednesdays, and Fridays, November 2 – May 17 from 9:00 AM- 11:00 AM at the Angelo Lamagna Activity Center. There is no cost for this program, both residents and non-residents are welcome to attend. 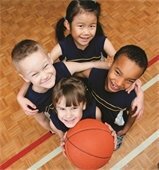 A co-ed instructional program for boys and girls in grades 1 & 2 will be held on Sunday afternoons at JFK Middle School beginning in January. The program will consist of eight, 55 minute sessions in which participants will work in groups rotating through skill stations to learn the fundamentals of basketball. Registration will be limited to 120 participants (40 per session) and will be taken on a first come, first serve basis. 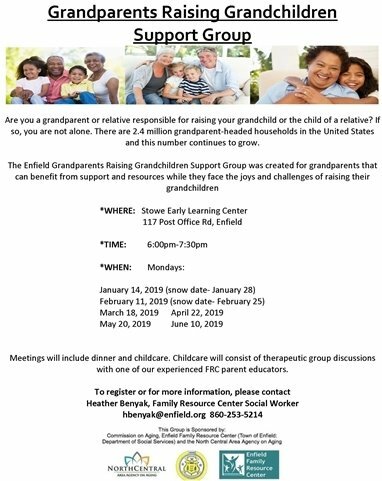 This program is for Enfield residents only. FEE: $35.00 per participant. Do you want to release some stress and live a healthier lifestyle this winter? If so, this is the perfect class for you. Yoga will bring balance, breath awareness, stamina, and flexibility to the body and mind. Students will be able to work at their own level, modifying poses as needed. Participants are encouraged to bring a yoga mat to class. Classes will be held Tuesdays, January 8, 2019 – February 26, 2019 from 6:15 PM- 7:30 PM at Parkman School. Fee is $30.00 for Residents/ $37.50 for Non-Residents. Pre-Registration is required. Open Gym Volleyball for adults 18 and up is held on Wednesdays, October 17, 2018 – April 3, 2019, 6:00 – 9:00 PM at the Eli Whitney School Gym. There is no volleyball when schools are closed. Participants must show proof of age and residency to participate in addition to having a program waiver on file at the gym. Daily fee is $2.00 for residents and $2.50 for non-residents. The Enfield Recreation Department hosts Open Gym Basketball time for adults 20 and over. Participants must show proof of age and residency to participate in addition to having a program waiver on file at the gym. The program will be held October 1, 2018 – March 2, 2019 check website for no program dates. Daily fee is $2.00 for residents and $2.50 for non-residents. Improving the integrity of the information being captured and verified by police is a huge benefit to our community. 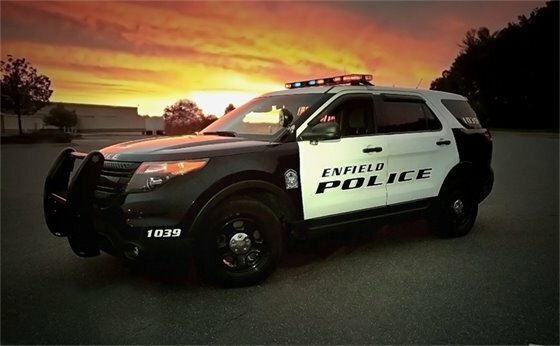 The Enfield Police Department has collaborated with Information Technology in the procurement of in-car computer technology utilizing the established three-year technology leasing program. The new technology will allow all police vehicles to have the most up to date and current programming available, while in the field and in the office. This, along with the replacement of the dispatch and records management system, will put the most recent and relevant information at the fingertips of our officers. IT has also been working with the Training Officers to ensure the Training Facility is fully functional. IT has purchased cables and docking stations to better equip the trainers when performing presentations, ensuring that Enfield Police stay on the cutting edge of superior service to our residents!